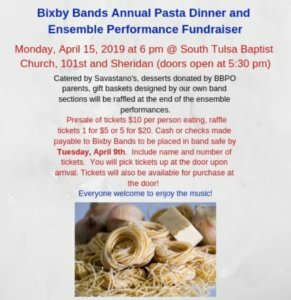 Come enjoy a pasta dinner catered by Savastanos Pizza while listening to Bixby Band Ensembles play in preparation for their State Competition. 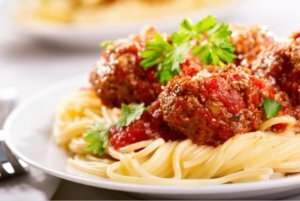 The concert is free of charge for non-diners. Dessert donations greatly appreciated! Raffle for unique gift baskets created by each section of musicians. Ticket Info: $10.00 per person. 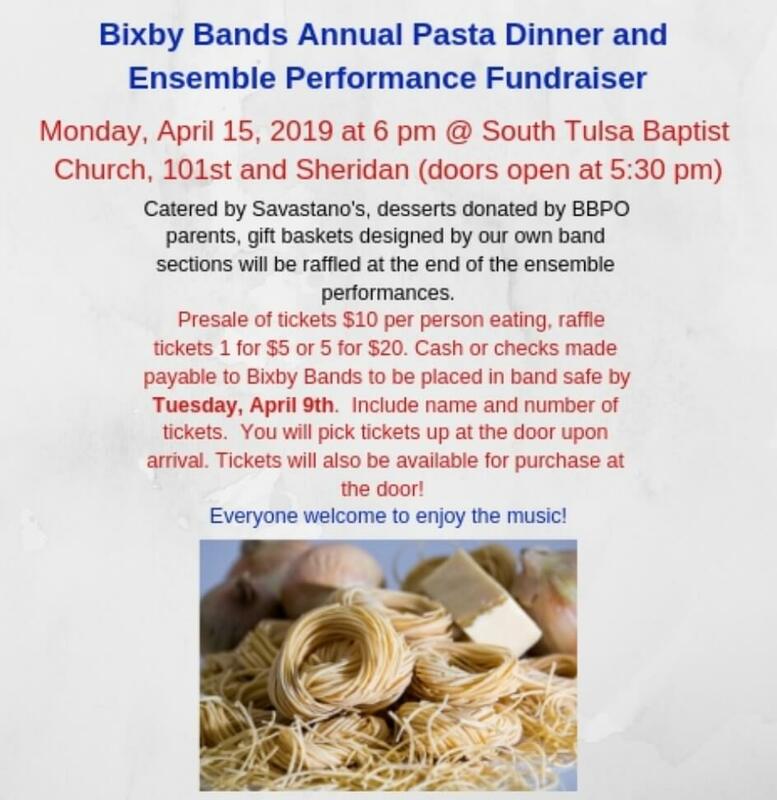 Proceeds benefit Bixby Bands. Tickets will be available at door. ( CASH ONLY at Door). Ticket Presale currently for Bixby Band Families via Check or Cash dropped off in the Band Safe, then you will pick up at the door. For Presale Tickets please place checks or cash in envelope with Name of person Purchasing tickets and number of tickets to purchase. Checks Made out to Bixby Bands. TICKET PRE-ORDER ENDS TUESDAY APRIL 9th, 2019 by End of School Day.